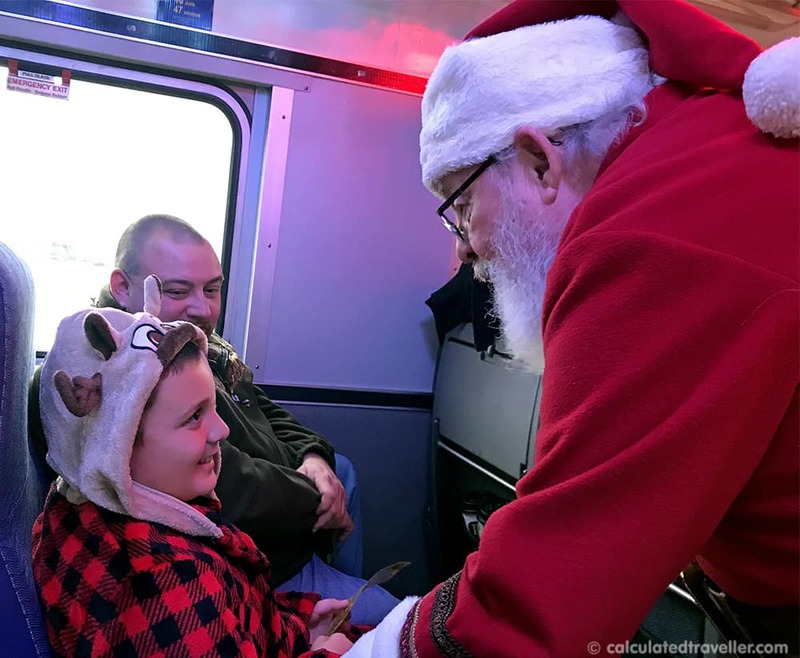 There are so few moments in childhood that are truly magical, so when we had an opportunity to join our close friends family on the Polar Express Train Ride in Whippany, New Jersey, we jumped at the opportunity. Our “little man” is fast approaching double digits and we know that these magical moments, especially when the holidays are concerned are fast and fleeting. Determined to rekindle some of the Christmas magic, we got in the car and headed for our journey. After an hour and a half drive to Whippany, New Jersey from our home in the Lehigh Valley of Pennsylvania, we arrived at the North Pole in disguise as the Whippany Train Station. Parking was structured and the whole arrival was very organized. 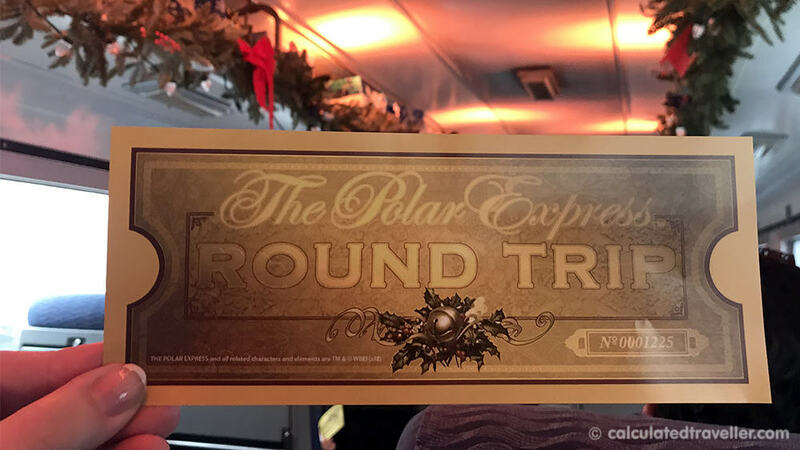 After a quick stop at the ticket station, where a friendly woman handed us our golden tickets and our first class experience package (a beautiful sparking bag with three collectors mugs), we were ready to take our seats in first-class on the Polar Express train. As we stood on the platform waiting to board. The conductor, in authentic Polar Express attire. started off this magical journey with some story-telling and with an all-aboard, we were loaded into our train car. There are two types of experiences. 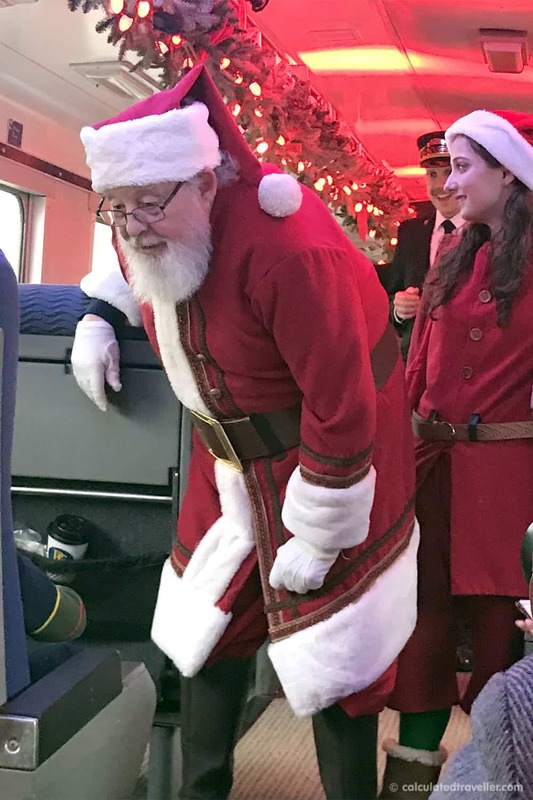 There is the coach, which is a classic train car that held up to 100 passengers and the first-class experience, which is slightly less crowded and included hot cocoa and cookies to enjoy. When we boarded the train, our senses were delighted with the sights, sounds and smells of Christmas. The vintage train car had roomy seats and was decorated with pine swags, presents, ornaments and lights. The friendly stewards took the time to say hello, show us to our seats and talk to my son about his holiday plans. We enjoyed the experience with a large family that took up half of the train and were more than happy to include us in their family’s fun. After starting our slow journey to the North Pole, we were greeted by other characters from the popular children’s book like the Hobo, the little boy, the waiters, the conductor all in preparation for the most anticipated guest of all. 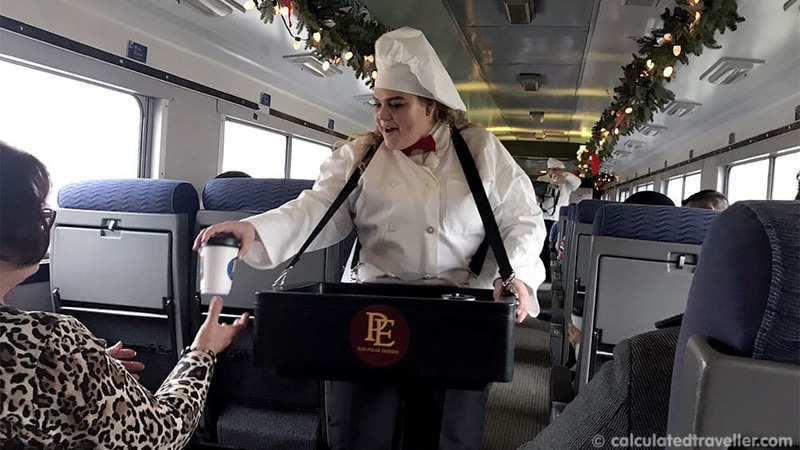 After a few minutes into our train ride, we were served hot chocolate and sugar cookies to fill our bellies as we journeyed along the Polar Express Train. While we listened to stories and songs and participated in interactive games, we were taken by the North Pole, which we could see through our windows and enjoyed the spectacle of dancing elves and the lights decorating the facade. Then, finally, the moment all of the children were waiting for, Santa arrived. He greeted each child, took pictures with them, and handed them the official Polar Express Bell. After more song and dance from the cast and crew, the book was then read over the loudspeaker. Two of the attendants walked the aisles with the book so all the children would see as they flipped the pages. After the book was finished, our train pulled into the station and it was time to say our goodbyes to the amazing cast who had entertained us for the hour-long ride. By the end of this magical Christmas train journey, we all could hear the bells ring of the true believers. This experience was a once in a childhood experience and our family was so grateful to have it while our son truly believed. There are many Polar Express Events to choose from throughout the country, so even if you don’t live in the New York City metropolitan area, you can still get a one of a kind experience. Train ride tickets at the Polar Express Train Ride experience in Whippany ranged from $40 – $75 depending on whether it was on or off-peak and if you wanted first-class or coach experience. I highly recommend the first-class experience as it was nice to spread out and enjoy the full experience with the hot cocoa and cookies. While you are here check out the Whippany Railway Museum. Our son enjoyed his time on the Polar Express Train even though he was on the older side and I have to say that we did too! 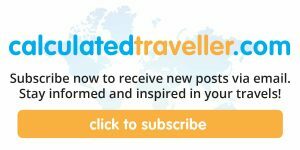 – Via Rail – A Canadian Experience to Get on Board eh? 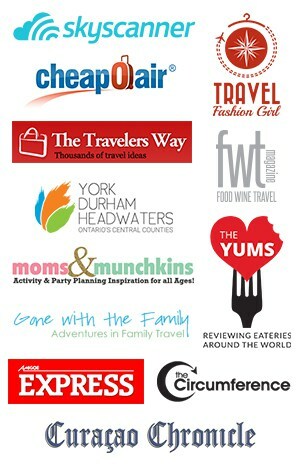 Check out more Family Travel Adventures on Calculated Traveller.